Sometimes it seems people are in the money race to retire, comparing who has more money saved, who’s making the better investments, who has bigger goals and it becomes a whirlwind of dreams and a fixation that many get sucked into. When I was writing my post about pre-paying the mortgage last week I started to think about how far ahead we are in comparison to our parents. There are times I think we are missing things along the way and why we as a couple need to take a step back and evaluate life, money and retirement. I’m not going to say I’ve not had my head buried in the sand when the topic of early retirement comes up but I’ve also been thinking about how not to fall off the ladder on my way up. Retirement and keeping up with the Joneses is an interesting topic. You don’t have to live and think in the present just to keep up with “stuff”. In one form or another we are also rolling the dice for our future along the way. When to retire and at what age still remains a mystery to me. Some people have a definite number in their head and they are sticking to it, I don’t. I’ve read all sorts of personal finance blog posts about those who want to retire by 40, retire by 45, retire by 50 and so on, but it’s not something I’ve nailed in concrete as of yet. Look at the likes of Hollywood A-Listers, developers, business owners or musicians worth millions who continue to work. I know their lifestyle is far more inflated than the regular person but many high-profile people still work, but why? I’m sure it’s not only for the money (although some still need it to keep up with their “frosted” lifestyle) but because they love what they do. They could pack it in and say, enough is enough but many continue to work bringing in income any which way they can even if it is selling jewellery on The Shopping Channel. Retirement also has different meanings to different people but I’m guessing it’s that end number that helps put it all into perspective. How much money do I need to retire? How much money will I have when I retire? Making money is nice but making money doing something you love is even better. Others may still want to work on side hustles to earn passive income or simply volunteer to pass time. I don’t really know what I want to do, in fact if I can keep working or even work part-time on the side I might just do that. I am hoping to have investments that generate passive income just like my parents do in which they tell me it was the best investments they every made. How many of you find that you no longer have beautiful penmanship like you once did? That’s right, because most of us are texting, and typing on a keyboard these days and our writing looks a bit wonky. What happens is over time when we stop doing something repetitively we may not lose the skill but we might not be as good at it as we once were. Picking up a pen to write a letter is a thing of the past for many, in fact most people only use a pen to sign documents or to write quick notes. I’m not saying the pen is dead, I’m just saying we aren’t using it like we used to. Over time you just don’t want to pick up that pen any longer because it’s easier to use the likes of technology. Of course there are some folks who simply refuse to use any electronic gadgets and hold their pen up high revolting from the technology movement. That’s pretty much describing my baby boomer parents in a nutshell. They have no desire to ever use a computer, let alone a cell phone and prefer handwritten letters. I’m not quite sure I agree with their desire not to keep up with technology but I also won’t fault them because we thrive on what we are used to, that’s how many of us are programmed. Slowly though we start to see people wander over to the mainstream world and delve into the easiest way to communicate next to the telephone, the computer. We even see students bringing net-books to class to type out the lecture because it’s easier, especially with the keyboard typing skills of many today. My wife does, and she hated that class. “Most people would have given just about anything to just pass the course because they hated it”, she says. Back then the words, “Just give me a pen, please, that’s all I need” was the easier way to go. Twenty years later and many would likely ace any keyboarding test if given one. Many of us and our children are pros at typing and would ditch the pen in a heartbeat. Why? It takes too long to write something that we can type in mere minutes, but it’s something we are used to, yet didn’t plan for. As our lives evolve what we all believe was once a phenomenon (such as the pen, then the typewriter) may change or even get better, we will all change, our lives will change. It may not change completely but the momentum should be with-in us to either grasp change with a desire to move forward or to let it go and hang on to the past. The same goes for retirement what you are doing now and what you think you will be doing in the future may be 2 different things, just like the invention of the ball-point pen. We can plan our lives down to the last dollar but we also have to remember what we think we will want to do in the future might not actually occur. As we age our bodies might not handle the hard pounding we give it when we are younger. Many of us prolong our happiness today to save all of our money for down the road because we are more concerned with the future than the present. We may feel like we are strong as a horse now but that can all change in an instant. I’m sure there are many people who wish they used their money to accomplish passions in their life while they were still healthy. Most often we don’t know it will happen when we get ill, it just happens and may be life altering to anyone who has to live through it. We still plan to budget for all the things we want to do as a couple in retirement such as go on holidays, spend more on things we want, etc by sticking to our personal financial goals. The two of us realized the need to enjoy what life has to offer now so we don’t look back and say, “I wish I did this”, or “Why did I wait to do that”. How much fun will I have if my wife is not by my side in retirement (or vice versa and I’m gone) and all I have is a bank full of cash and no one to enjoy it with? A Canadian Budget Binder fan said to me, “Skype doesn’t reach heaven” when talking about her loved one. This had me thinking about why we need to enjoy our time today while planning for tomorrow. When we are gone, we are gone. Like I mentioned a few days back, we can either change our life or change our attitudes. There will be a time in my life where I will slow down, where I don’t want to do what I thought my body could do. We have a friend who keeps fit, is young, eats well and is sick, very sick. Her dreams are gone because she no longer can do what she wanted because of unforeseen circumstances. We quit smoking last year but realize that any damage we did with our addiction could come back to haunt us. The reality though is when our time comes it doesn’t matter how well we think we have been to our bodies or how great a person we are, how smart we are, how rich we are, how much stuff we have, how beautiful we are, how important to society or this world we are. When our time is up, it’s up. I am optimistic I will live a long, healthy, prosperous life but I am also realistic about my life’s journey. As much as I want to believe I will be around forever, one day I will be gone with no options to look back on the things I should have or wanted to do with my life. I miss my family back in the UK and know that although we are apart that doesn’t mean I’m not with them. Skype doesn’t reach heaven, so the message today is to take some time away from work and spend it with the people you love. Not just for the day but make it a part of your every day plans in life. My plans in life include budgeting to live life in the moment with my wife and loved ones while planning for our future retirement together. That I can Skype! 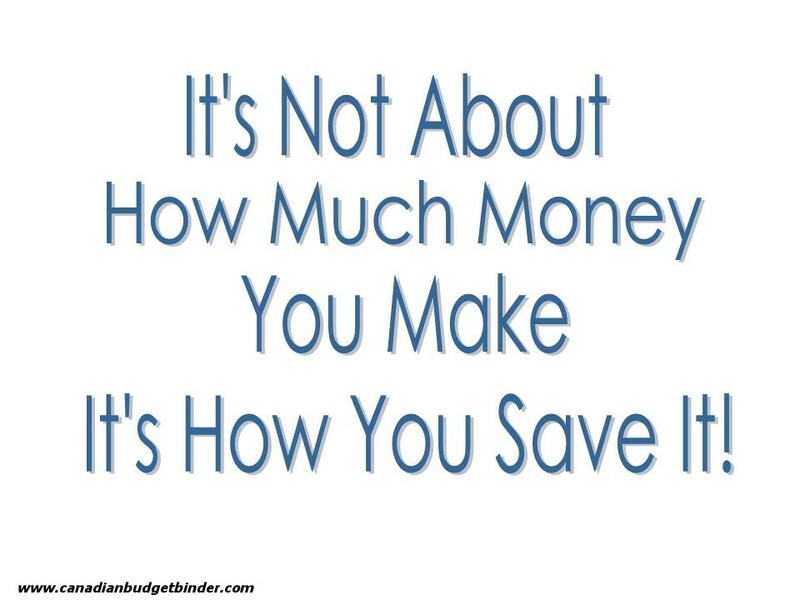 Are you budgeting your money to live for today while saving for the future? Great post Mr CBB. You are buying a lot of freedom and whether you want to retire or not is not so important compared to the fact that you can choose what you want to do in life. You can take a part time job or go back to school to further your education, without breaking the bank. It was really worth the hard work and sacrifice in my book. And of course, you can enjoy experiences now that you have taken the financial matters under control, because this is what life is all about, sharing, living and enjoying. Yes, the options will be there but I don’t know what I will do with them. It’s funny how we want to pay off the mortgage and become debt free and then what? Then what do I do… I guess time will tell. “Create wealth that matters as it’s only a tool for getting what we want” So true. Great article. We really do need to live in the now and plan for later. We never know how much time we have left, and you can’t take it with you. People are generally categorized as savers or spenders. We focus on either spending as much as we can (ie focusing heavily on the present) or saving everything (ie not focusing enough on the present). Your post is a valuable reminder to find balance. Such an important sentiment. “You can’t Skype from Heaven”. Thank you. Finally someone who shares my views. I want to retire, someday. However, I’m really not sure when. I know that I would like the money to be able to if and when the time comes. But actually retiring isn’t really my main goal. Financial independence is. My philosophy is about living for today while saving for tomorrow, though it’s not always an easy balance to achieve. How true is this post? The past two years for me have been all about evaluating what is important and fixing my life to do more of those things. We all get into the habit of thinking we’ll do it later, but you certainly don’t know how much time you have. To me retirement is being able to do something for a living that I want to do, not having to something for a living because I have to do it. So working is definitely in the works for me when I retire. The key is being financially independent so that I CAN do something that I want to do for a living, even if it means earning a lot less money. An excellent article. We truly never know what tomorrow will bring. Live can change in a second as we have found out here the hard way. We’re struggling financially,and emotionally. But I have found that when things get difficult is when you find out just who your true friends are, they are the ones that are there for you, they are the ones that know the caretaker is a difficult role and not only ask how the patient is doing but ask how you are doing, looking you in the eye as they ask, they are the one that don’t ask what they can do to help….. they just do it. They offer hugs, prayers, and a shoulder as needed. When you are going through Hell, they are right there to help you get to the other side. Tomorrow has not been promised to any of us…….. I have been blessed with some of the most wonderful friends here online and here in town. I am thankful for every one of you, every day. Typing….. I hated my typing teacher.. I remember if you didn’t have your hands exactly right over the keyboard she would grab your hands and position them the way she wanted….. cold clammy hands…. I’m still not the greatest typist by I can get there. My Dad is still with us and has no use whatsoever for the computer, but he does have a cell phone. We got him one back when Mom was sick and he was driving out of town, so he has it for emergencies. I keep track of him and my Uncle to make sure they are OK. I bring them here for a meal as often as I can, which is once a year at Christmas. Those two don’t care to travel much…..
Great post mate, I have been having very similar thoughts lately and so I am actively trying to work out when I want to retire and how much money I will need to do the things I want to do. I wish I knew the answer to that question but I’m guessing it will be alot. A beautiful post, Mr. CBB. You can’t Skype in heaven, but I sure wish you could. My dad passed almost 9 years ago and he was in his early 60s. He had a lot of life in those years, but he (and I) wanted more time. He was who I thought of while reading your post. It’s so easy to get caught up in spending and saving when sometimes we need to stop and just live. Soak in the moment and enjoy where we are, no matter what. I was always taught it’s not the amount of money you have – it’s what you do with it that matters. I always try to keep that in mind. Well said, it’s what you do with it that matters. Sometimes we hear people complain about how old they are getting but forget that their parents are even older. We get so busy with our own lives that we forget about our loved ones. Wonderful, thought provoking post, my friend. You are so right on every point. We should all think about what matters most to us now, not just in the future. Life is full of unexpected things. Thanks Laurie, it’s been brewing for a bit now but I’m happy the wife and I know what we want. Great post Mr.CBB! I really feel that having a proper work life balance is the most important thing I can do as a husband and father. A few million in the bank by retirement age would be great but if it comes at the cost of missing out on watching my kids grow up or spending quality time with my wife then it just doesn’t seem worth it to me. That’s just it, there’s got to be a point where working hard and smart doesn’t take over our existence just to make more money every month. If the balance isn’t there, even if you have a mutual agreement that it’s ok, we’ll make the money now and do it later, do it now. There’s no turning back when we’re gone. Well said,mate. Thanks, it was hard for me to write because of the emotion and although but taking a step back made all the sense in the world to us. This is something I think about quite often. I try to maintain a close watch on my finances and be reasonable with my spending but there are some things that I do enjoy doing now that I may not be able to do in the future. There is always some kind of balance I try to keep, but it isn’t always easy. There was so good insight in this post, two thumbs up! I also totally agree about the typing class. Often, when I try to think of something I learned in high school that I use basically everyday, I think of that class. Great post Mr CBB! I learned this lesson when my sister’s husband, with no forewarning, had a massive heart and died before he ever hit the floor & this was long before he even turned 40. I also never forgot my sister beating herself up for the trip to Egypt that her husband really wanted to take and the fact that she had said “later”. It was the one place in the world he really wanted to take his children and he never got to do it. He was a huge history buff and he thought the learning that could be imparted was immeasurable. That rang a huge bell with me because my mother never got he chance to go to Hawaii though she dreamed of it for 59 years! It made Larry’s and my wedding day bitter sweet for me. Sweet because obviously I was marrying the most wonderful guy in the world, but bitter because my mother was missing and I had a step mother there instead. Mom was certainly in my heart though as we recited our vows on the beach in Kauai that I had written in Hawaiian… so that only we and my Mom would know what they said. Mom didn’t speak the language, but I believe she understood nonetheless. I committed right there & then to making sure that nothing, and no one, would ever come before my husband & that every day I would make sure to show him how very much I appreciated him being in my life. I never want to regret something I didn’t do or I didn’t say. You’ve all heard my story about how much I hated the one and only cruise I ever went on. Well, I knew it wasn’t going to be my kettle of fish but I sucked it up and made the best of the situation as a Christmas gift to my husband. He had always wanted to take a cruise so we did… departing Miami on Dec 23rd with Christmas Eve celebrations onboard with a beautiful buffet supper, a fine private dining experience for our Christmas dinner and merrily cruising our way thru the Bahamas before we disembarked for my birthday celebration in the Florida Keys. Next we returned to a lovely Westin property right along the beach in Fort Lauderdale – and it was a lovely time for us both. He absolutely loved his cruise & I love him enough to really enjoy watching the thrill it brought him. I completely agree that we need to save for the future but we also need to live for today. I had a car accident that very nearly killed me in the spring of 1994 and by November my sweetie and I were man & wife. One of the first things I said when I saw him at the hospital, when asked if there was anything he could do for me was, “Buy me my birthstone as an engagement ring and do it now!” I knew the most important thing in the world was for me was to protect Larry and guarantee he would inherit and remain in our home without incident, were the worst to happen. Sad it took such a close call to wake me up! I work hard every day at making a special time out for us each and every week. Sometimes it’s a walk and a talk, other times it’s a coffee date at Tim Horton’s and then sometimes we just cook together & try some new dish we want to try. Once a month we do our grocery shopping in the US but we also have either a lunch or a dinner out while we spend the day sprinkling fun things in between hitting the stores. A walk along the ocean, a stroll in the park, a picnic at the lake all while holding hands…with our camera out taking pictures of all the memories we are creating. It took me a while to write this as I really hoped that my message would be heard or come across as intended. Sometimes we become so obsessed with work or money that we forget about those that are holding out their hands wanting a hug, a smile or a simple phone call. Well said… take whatever life chucks at you! You’re so right, Mr CBB. You can plan, plan and re-plan and still have no idea what your future is really going to be like. You may drop dead tomorrow, so you need to live every day like you have nothing to lose (I mean that in a good way of course). I plan on retiring at 35, and I don’t think that early retirement is a concept people can grasp until they really immerse themselves in the idea of it. It isn’t; about not working. It’s about not having to work. It’s about being financially prepared for your entire life, so you have the opportunity to do whatever you want. I’m not planning on partying from age 35-death, I plan on working on myself, my relationships with people, my hobbies, maybe I’ll even work on becoming more entrepreneurial. Most people choose the “live in the now” mindset and buy fancy cars and big houses when they really only JUST afford it. Savings rates are minimal for most families, and more times than not families are over-extended and they don’t even realize it. Good post Mr. CBB! It definitely is a balance to have and one that we struggle at times to find. We definitely want to be wise with our finances so we can enjoy later years, but you still need to enjoy life today. I am not an early retirement person as I do not think that is likely for us. We just want to get to a point where we don’t HAVE to work, but do so because we WANT to while at the same time not be tied down because of our budgetary situation.